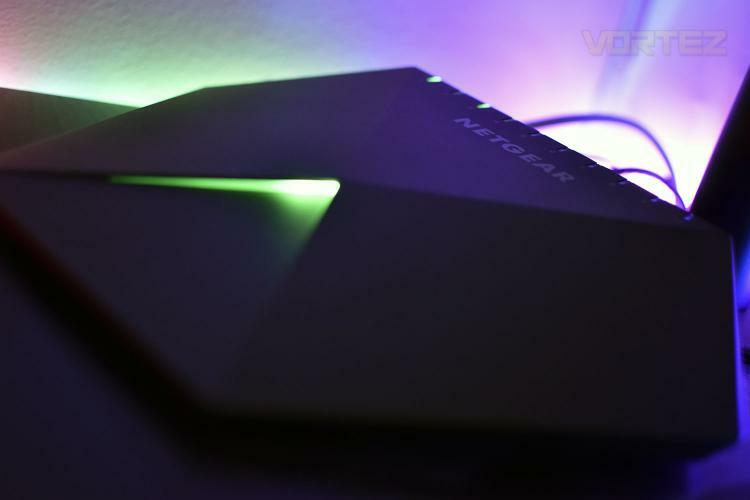 Network switches are often hidden away, screwed to the back of your desk or in a cupboard somewhere to live their lives flashing away in the darkness, but Netgear aims to change that with their wedge-shaped Nighthawk Pro Gaming SX10 Switch, giving it an appearance fit for any gaming setup. The SX10 features multi-zone RGB lighting, a premium all-metal chassis and a sharp, angular design. While the aesthetics are an important consideration in today’s market, especially if the device is to take pride of place on your desk, the performance must also be up to scratch; Netgear offers the SX10 with ten Gigabit ethernet ports, of which two are capable of 1, 2.5, 5 or 10Gbps with aggregation on those two ports for up to 20Gbps if you absolutely require the highest bandwidth in your network. The networking monitoring tools allow control over many aspects of your network with QoS configuration options. This also offers RGB lighting customisation. The SX10 is certainly a specialised piece of kit, with a price tag to match, at £250/$250. This puts it very close to a lot of professional options so it needs to perform; let’s take a closer look and see what it’s made of.